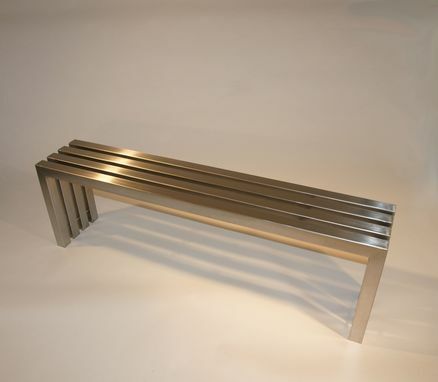 The modern Tube Bench by Nathan Lane of Fast Lane Customs is entirely made of stainless steel material. The bench was designed specifically around modern architecture, subtle aesthetics, making it sturdy and beautiful. 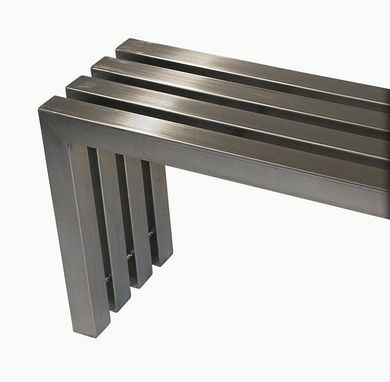 This bench can stand as an individual component that makes a truly unique and practical piece of home decor from rustic to modern design. Communication was very easy and professional working with Elise and Nathan. They offered guidance based on their professional experience and yet allowed the creative process to unfold. Information was shared as circumstances beyond their control delayed the project (but only by about 2 weeks) and the information was passed on to me as soon as they knew the situation. They also offered an alternative approach in case the lead time was not acceptable for the project. 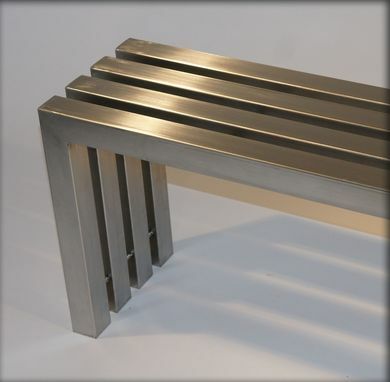 Very professional and a beautiful finished bench.